Cancun Center Conventions and Exhibitions. Opulence with breathtaking ocean views set The Ritz-Carlton, Cancun apart from the crowd on this popular Mexican beach destination. As the only triple AAA Five Diamond Award–winning oceanfront resort in the world, expectations run high at this extraordinary property, which boasts the seaside Kayanta Spa, the Cliff Drysdale Tennis Center, cooking classes at the Culinary Center, and a pool pavilion backdrop right off a Hollywood set. Each of its 365 luxury guest rooms and suites features a private balcony or terrace overlooking the turquoise Caribbean. 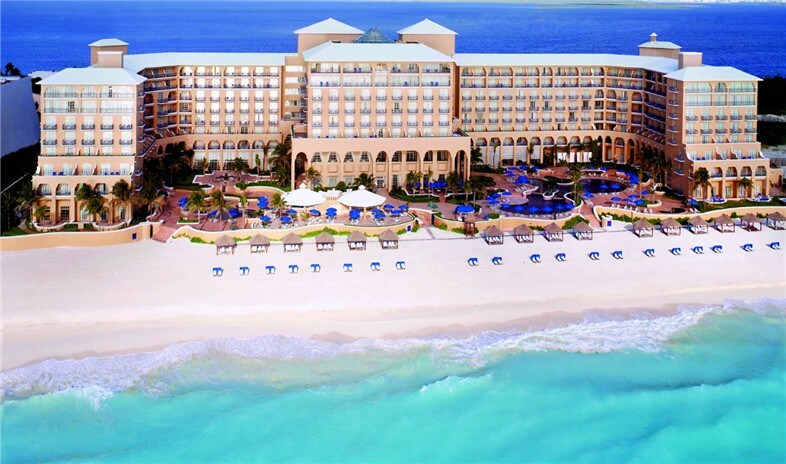 Size proves no restriction on corporate events at The Ritz-Carlton, Cancun, which offers 27,000 square feet of function space, including the 11,175-square-foot Ritz-Carlton Ballroom. Meeting planners looking for a magical evening under the stars might begin with a themed reception poolside followed by an unforgettable beach dinner in private seaside casitas. Glendy and her team were great. Went above and beyond with every request! Our second straight Ritz property in a row - both with success. I have used this property in the past and my clients loved it. However, I totally recommend that you upgrade your group to the concierge floor for it is well worth it. I haven't seen it in a few years so I would check to see when the last time it was renovated. You can't go wrong with a Ritz property. Mine was an incentive group and had special check in arranged which went very smoothly. Your guests will definitely feel special.